uman experience is our natural state, but as businesspeople we need to stop current business thinking in order to reconnect with it. To begin, I invite you to ground yourself as a person, a human being—not a customer, user, consumer or business leader. Your self and personal point of view. As a feeling and thinking being, you have a wide range of perceptions, even though you are aware of a small portion of them. Neuroscience shows that all of us are consciously aware of about 5% of what’s going on in our brains. Let’s bundle all of this awareness together and call it human experience. During the industrial age, most human organizations became very large and mechanical in how they thought and acted, and I perceive that they’ve diverged from humanity over time. For example, one of the most insidious premises in business is that “consumers” or customers aren’t very smart. This is due to the fact that hardly any executives or marketers have any contact with their customers, much less consumers. They’ve lost touch with the people they claim to serve. Customers have become faceless masses to whom they serve advertising and marketing promotions. Customers are wallets and stock prices. I have worked with many sophisticated brands, and I can tell you they don’t know their customers as people. They know general desires and habits of demographics of people. So the basis of their relationship (I use this word loosely here) is like lunch meat, all ground up and synthetic. Yet firms’ communications don’t admit this. They try to fake being friendly and personal and cute. Organizations know that people yearn to be treated as whole people because this is how humans treat each other, but brands don’t know how any more. Ethnographic reveals that people in digital groups are very creative, intelligent, fair, responsible and motivated. Like you or me. When people come together in digital communities to collaborate and help each other, they have a very different experience than they have with firms or brands that treat them as faceless customers. Brands have no empathy because they’ve lost touch with how they affect individual customers’ lives. naware, firms increasingly appear untrustworthy in the eyes of their customers, employees, business partners and communities. Few understand the massive inconsistencies between what they say (promise) and how they act. Trust in big businesses is very low. Small businesses are more trusted because they tend to have personal contact with customers. B2B salespeople say they are trusted advisors, yet they keep “following up with you” when you’ve told them you’re not interested in their offer? Your bank festoons its website, statements and phone hold line with platitudes about relationship, then it propositions you for services that you already have? You get barraged by phone calls, emails, paper letters and texts that say, “We know you absolutely need our auto insurance,” and you’ve never owned a car? Chatty marketing automation come-ons include your legal first name in the subject, when you never are called by that name unless you’re in trouble? Many of your credit cards proclaim “member since [year],” but when you are trying to renegotiate your credit terms and reference your long relationship with them, the banker says, “We don’t care about anything longer than six months”? You’ve been an airline [insert precious metal] customer for decades, yet when you don’t travel much for a couple years and miss the deadline by a couple days for buying something at their online mall to keep your miles active, they throw away all your miles and want to you pay several hundred dollars to get them back? You’ve had the same telecoms provider since the 90s, yet they double your rates every year and force you to call and go through several levels of “support” to get the “new promotional pricing” that’s half the normal price? (and you pay them over $3,000 per year). Fast food chains display posters and slogans about family values while they use every trick in the book to get your kids to eat supersize portions of unhealthy food? The oil company changes all its branding to green while it persists in fracking, threatening the environment and municipal water supplies? Your grocery store prints out a yard-long receipt plastered with coupons for products you’ve never used? Your app store [or insert any other website] forces you to agree to new terms that are ten pages long and require a legal team to interpret? The global hotel chain proclaims it has “the best meal in town” when you know from experience that hotel restaurants are inferior and overpriced compared to local options? Of course, I could go on, but the point is that these things reflect organizations’ abjectly impersonal and disrespectful treatment of people because they say one thing and do another. That might be acceptable if they weren’t pretending to be upstanding and personal. My point is that there is a huge gap between what organizations say and how they act, so they generate mistrust. This has become intolerable because we all get far better treatment from each other in digital public than from organizations with whom we spent thousands of dollars per year. And why have marketers fallen into pretending to be personal? Because people prefer to be treated as people, not as demographics. Human experience is our natural state. We are real people, so it’s time for firms and brands to treat us like real people. arketers are in a tough place. I know because I’ve been chief marketer for several firms during my career. Most are following all the best practices they can muster to get the results that their bosses want. Few have the time to study human behavior in digital social public. Very few appreciate how much people’s expectations have changed. It’s also important to recognize that the problem is not with marketing. It’s with the gap, so operations, firm processes, are also a source of the gap. Firms need to move marketing/communications into line with operations’ reality, or operations must move towards marketing’s promises. Firms need to be congruent in order to regain respect and trust. My work in experiential social media consistently shows that people respond positively to being treated with respect and empathy, and they get that from strangers online. People treat each other as individuals, not demographics. Their interaction in digital social public is changing their expectations of all interaction. Firms and brands that miss this will be gone. It is natural for leaders to prefer the status quo, so they adopt changes after a prolonged period of observing signs of the need to change. They also love tools and try to use them in new ways. Social media is a tool that marketers adopted enthusiastically for marketing and promotional purposes. It is still primarily used impersonally. The commercial value of social media is primarily realized through interaction, so most firms and brands are leaving most of the money on the table. lthough this has been a dour post so far, now I’m excited to suggest practical ways that you can harmonize with human experience to make your firm stronger. For CMOs, the most important thing is to realize that marketing practices evolved in a very different environment than business is in today. Information was scarce. Most of business was local, so businesses did know their customers personally. Manufactured products were relatively scarce, so the objects themselves had inherent value since they replaced hand-made and much more costly things. Marketing leveraged mass communication to increase its impact, but that impact has been falling precipitously for decades. Today, most marketing tries to appear personal because marketers know that people respond to messages that appear personal and friendly. Social media allows them to really treat people personally, but it doesn’t work until they change their practices. A lot. For CEOs, the most important thing is to consider that trust among people is the source of competitive advantage because it drives creativity, risk-taking, productivity and performance. Technologies and mechanized processes are now mostly run by software (“software ate the world”), so they can be retooled overnight. Anything mechanical will not add value long-term because competitors can adjust to your product innovation quickly. Marketing automation is a current example. I predicted years ago that its advantage would be incremental and fleeting. All major analysts now say that “customer experience” is the final frontier of competitiveness. Trust is the foundation of a firm’s ability to empower customer experience. Trust is negotiated between people over a series of interactions. It is human and sticky. It’s grounded in consistent listening, empathy, consideration, respect and honesty. It’s ancient and timeless. Competitors can’t dislodge it, only the two parties can break it. CEOS also need to stamp out the attitude, “Well, business is business” (as an excuse for white lies, competitive practices, etc.). When a business operates from a foundation of trust first, there’s no excuse for lying, exaggerating or whitewashing. That business becomes unassailable in the market. It’s an amazing prize, but it’s a full-on commitment. It’s totally achievable when the firm is transparent about it. People as a group are very forgiving and understanding when you’re straight with them. Think of yourself and how you feel when you feel when someone’s trying to put one over on you. They’re speaking double talk. You sense it and watch them wade deeper into the quicksand. This pervades most firms’ behavior right now. Stop exaggerating, half-truths and gotchas. Humans and other primates are distinguished by having a theory of mind; we know that others have different thoughts from our own. Therefore, at the DNA level we are intolerant of fakes, liars and other freeloaders (see the Dunbar review), and we love exposing them. People temporarily put up with firms’ exaggeration because they had little alternative sources of information. Now they do, so marketing’s grace period is over. Social media is a terrific tool for exposing fakes. Don’t claim anything false in your communications. Don’t say you know your customers unless you know them, individually. Or only claim to know the ones you really know. Stop presumptuous and arrogant messaging. No firm knows what another person needs because it isn’t that person. To claim to is to deny that person’s will to make up his/her mind. The arrogance! Start pivoting your marketing, sales, service and other areas that touch customers toward customer outcomes. People with certain characteristics who are in specific situations appreciate your product/service more because they can use it to accomplish something meaningful. They have outcomes in which your product/service has high value. They care much less about your product/service itself. Speaking from my point of view, I observe that firms’ products and services are like their children. Firms have to recognize that no one loves their products as much as they do. I’m no different; I love CSRA’s frameworks and methodologies much, much more than clients do. They put up with them because they want better results at lower risk. So I’ve largely stopped talking about my methodologies. Outcomes are the express lane of connecting with customers, and staying connected. I have learned that when you empower customers’ outcomes, this action communicates more strongly than any words you could say that you really care and that you’re relevant. Actions speak louder than words. When you interact with people about meaningful things (like outcomes) in digital public, your efforts are scaled tremendously. This is how experiential social media can build trust and relationship at scale. It works because similar people in similar situations with similar outcomes are attracted to the interaction, and they observe closely. By empowering outcomes of individual people, by treating them personally, you touch observers, too. Consider your firm’s communications from your own personal point of view. You will probably find some of them quite galling. Pull these. You are good. You do add value. You don’t have to exaggerate. Marketers now have what’s eluded them for decades: pervasive, inexpensive information about customer outcomes. Outcomes are customer language, customer experience. You can now understand exactly how you add the most value, and in which situations. You can focus on that. No more shooting in the dark. Exaggeration is only a cover for ignorance. Most of what is written here about customers also applies to employees, and you can’t get real with customers until you get real with employees. They also have outcomes for working for you. The Employee Engagement Fallacy drills down on this. Realize that many so-called best practices in business are based on fear and mistrust. How to Break Free shows how to wind them down. Stop saying that you value relationship. Start showing it by how you treat people. When you’re in doubt about whether you can trust customers (employees…), trust them first, then observe how they act. 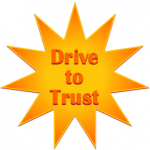 Realize that your policies and processes carry a strong unconscious message about how much you really trust them.